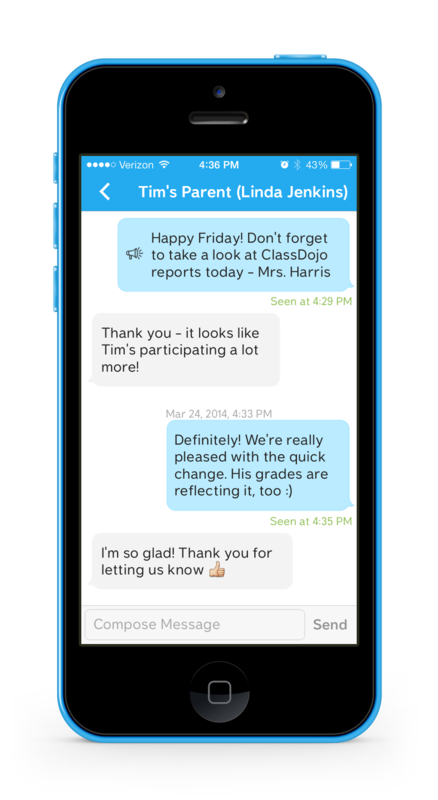 Teacher Playground: ClassDojo Messaging Launches Today! 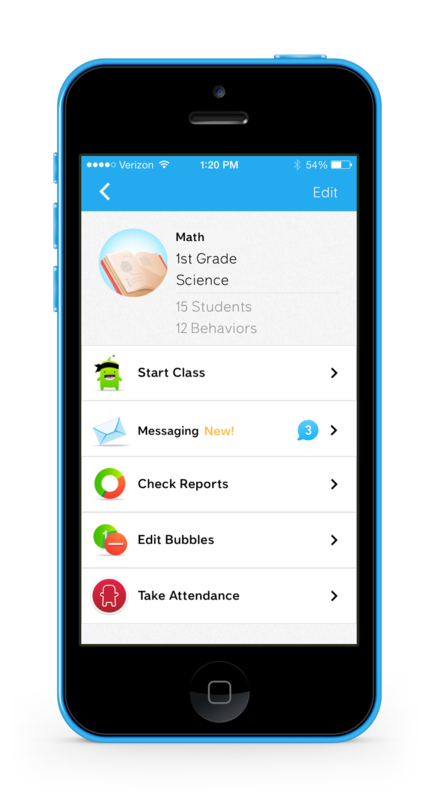 I am so excited to have been a tester of the new ClassDojo Messaging add-on! I am beyond thrilled to have this as now I no longer need to have different programs to keep track of Classroom Management and Communication with parents. Being an educator we already have so much to keep up with so to me less is better. 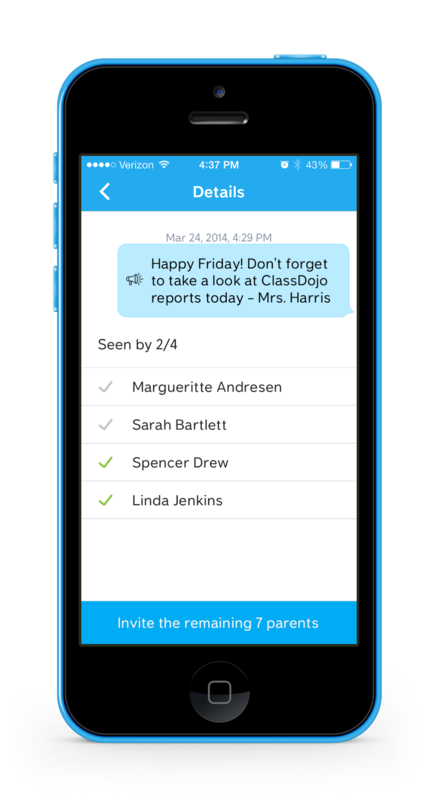 ClassDojo Messaging is a new feature within ClassDojo’s app on iOS and Android devices. I am in love!! I am so excited that teachers can access Broadcasts as well as Direct Messages within their class’s Messaging inbox.You can even send images through the Direct Messages....big plus for me!! 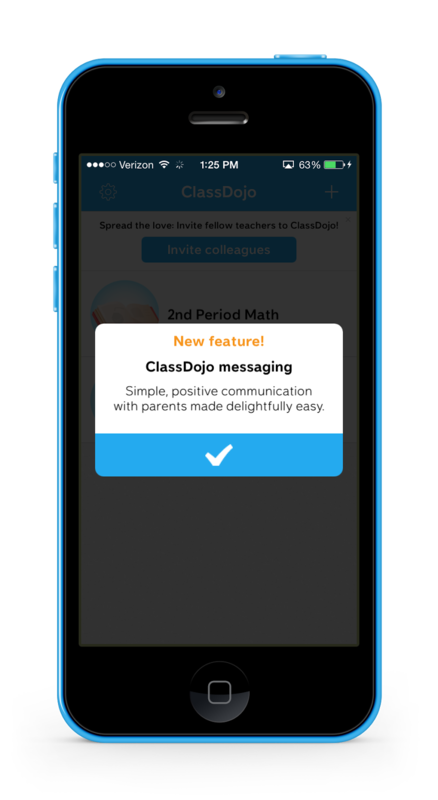 ● ClassDojo Messaging — a new feature within ClassDojo’s existing platform — launches today, enabling teachers and parents to easily and meaningfully communicate about student progress. 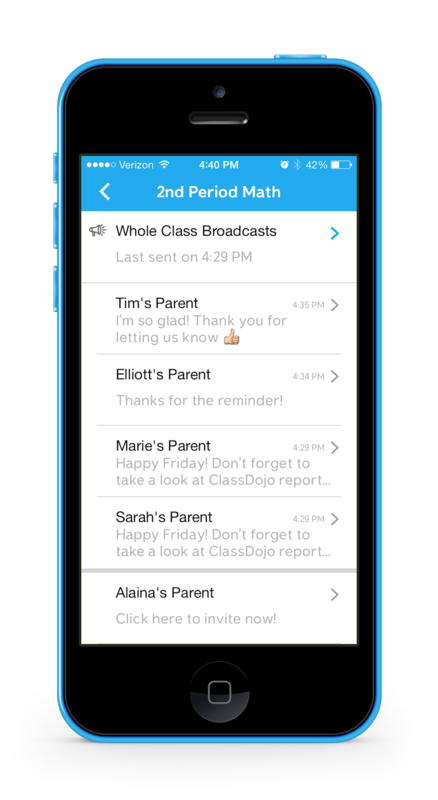 ● Teachers will be able to send parents private, “Direct Messages” to update them about their child’s progress as well as “Broadcast” message an entire group of parents with ease about class events. 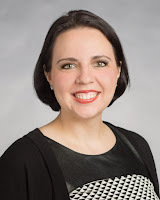 ● We believe this new feature is a major step forward for teachers, many of whom currently converse with parents using non-ideal tools such as formal emails, impersonal text messages, or handwritten notes all of which require more effort, are overwhelming, do not engage parents in a meaningful conversation, and ultimately result in less real communication about students and their progress. teacher focused features, such as the privacy of not sharing personal contact details, the two types of messaging (Broadcast and Direct Messages), and also “read receipts” showing acknowledgements when parents have seen messages. Most importantly, teachers are now finding it easier to engage in higher quality conversations with parents about students’ progress and development. Get ready for better communication with your parents and students. I can't speak highly enough about how great this new feature is. As much as I love my current communication app with parents...I am certainly making the move to the ClassDojo Messaging add-on!